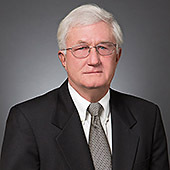 Greg Gaebe, the founding partner of the firm, is known for successfully defending clients in numerous trials. Mr. Gaebe has tried more than 150 jury trials, and in one year alone, tried 15 cases to verdict. A defense lawyer’s lawyer, Mr. Gaebe handles products liability, bad faith insurance claims, legal malpractice, and catastrophic personal injuries cases. 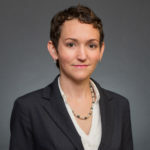 He has been involved at both the trial and appellate levels in numerous cases of public importance that effected significant changes in the law. Additionally, Mr. Gaebe has been involved in the defense of major tobacco cases, the defense of Sabreliner in the ValuJet crash lawsuits and the defense of Southland Company in a national class action for alleged ADA violations. Mr. Gaebe is often called on as a bad faith expert, and has defended many individuals, corporate entities and insurance companies in catastrophic exposure cases. He also handles insurance coverage matters and defends municipalities in high exposure claims involving civil rights allegations. Mr. Gaebe is admitted to practice in all Florida state and federal courts including the United States Supreme Court. 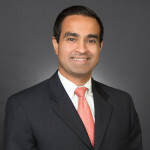 He is a member of the Federation of Defense and Corporate Counsel (FDCC) and a member of the prestigious International Academy of Trial Lawyers. He is also a member of the American Bar Association, the Coral Gables Bar Association, The Florida Bar, the Dade County Defense Bar Association and the Florida Defense Lawyers Association. 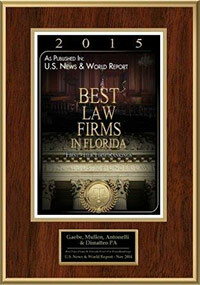 Mr. Gaebe is AV rated by Martindale-Hubbell Law Directory and was selected for inclusion in the 2012 and 2013 editions of Florida Super Lawyers, The Annual List of the Top Attorneys in Florida, and the 2013 South Florida Legal Guide.